Around since the 80’s, Coach House has been able to see multiple generations of acts come through Southern Orange County. Ask any visitor and they will tell you there isn’t a bad seat in the house. Its small size offers an intimacy that is not available in most other venues. Event venues require systems in place for super high volume since business comes all at once in short waves. FOCUS easily handles this by building out navigation and menus in a simple streamlined fashion. The goal is to be able to make every bartender and server as efficient as possible. Tab lists allow for quick access to open transactions that can be filtered by tab name or bartender for easy retrieval. When the owners of Coach House approached us to build a solution, their biggest concern was credit card security. Each POS station is equipped with an EMV reader to utilize chip card technology. This ensures each transaction is unique and secure to protect their guest’s cardholder data. 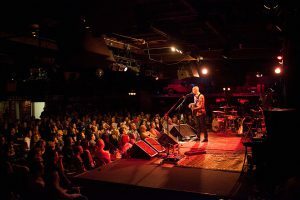 Don’t miss your chance to catch some great musicians this summer at Coach House! Their event schedule can be found on their website at https://thecoachhouse.com/. Photo by Nicole Priest Photography. At Congregation Ale House beer is religion. The staff is eager to spread the word, not just about their own creations but also those of fellow brewers. They speak with the passion that only a true believer could. This is just one of the things separating Congregation Ale House from the many other beer bars in LA and Orange County, they are truly excited to talk hops with you and that feeling is contagious. 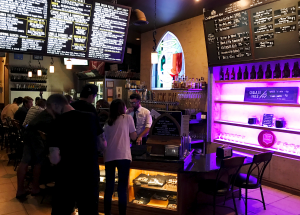 With three locations in Azusa, Pasadena and Long Beach the team at Congregation Ale House was looking to upgrade their POS so they could increase efficiency, unify menus, and implement new tech like online ordering before setting their attention to expanding in Orange County. Partnering with our friends at ToGo Technologies, Congregation Ale House has rolled out online ordering at all their locations. This has allowed them to extend their take-out business with a simple ordering flow that made sense for their menu. Check out what they have on tap by visiting their website at http://congregationalehouse.com/. You can already feel the warm California sun ready to soak us in its glory. Summer is here. Coming with it the hoards of people… the staycationers, the adventurous locals and visitors to our great state come to bathe in the summer glow of California. For local restaurants and bars, especially those in beach towns, the summer season can be incredibly busy. We have put together a checklist of items to plan for a successful summer. Put your social media on auto-pilot. Find a platform such as Buffer to manage and schedule your social posts so you can take less time executing timely marketing. Extra guests mean a need for more staff. You can always turn to Craigslist or instead check out services like Seasoned to find local talent. Plan out your summer specials to take advantage of seasonal favorites. Melissa’s Produce has a great list of seasonal items on their website. Fine-tuning your menu for the summer is best done before you get too busy. Not sure you can get the setup done in a timely manner? Our team can handle any FOCUS menu changes or workflow changes for you. Having backup hardware that can be swapped in place when needed can reduce any downtime during a busy rush. Need additional devices to increase speed and efficiency? Hardware can be purchased and installed as a permanent device or temporary loaner. We even have options for mobile devices that can be used at festivals or other off-site events. Running out of paper or ribbon should never happen. Our office keeps supplies stocked so you can get quick shipments locally. Take advantage of our supplies subscriptions so don’t forget to place an order. In a world of high tech everything, there is still a constant struggle between maintaining current habits and adapting to the new technology trends. Restaurants and bars are no exception to this ongoing dilemma. We hear from many of our clients who still continue to debate on whether it makes sense to go paperless or stick with printing guest receipts and orders. No matter the size of your operation, there are options that can help you either reduce printing on paper or eliminate it all together. Let’s start off with taking a look at the kitchen, bar or other prep areas. Kitchen video has long been a staple for any high volume fast paced environment. Orders pop onto a screen that can show either full order details or simple item views depending on the needs of the person reviewing that order. Routing to each station is just as simple as it is in FOCUS, however, you also have more complicated workflow options based on modifiers or load balancing options. Besides not having paper copies of orders that can be lost, since the order data is being tracked at each step of the way you are able to see additional analytical data such as average ticket time and details of the cook times on each item. For a Quick Service operation, printing at the POS station can be eliminated by utilizing FOCUS’ Signature Capture option. When processing a credit card transaction, the guest can input a digital signature on the point of sale touch screen. This can be achieved with either a station on a swivel base that can be turned and presented to the guest or our favorite option is a rear touch LCD display. The rear display can also be used for up-selling and order confirmation during the ordering process. In a Table Service or Bar environment, getting a guest to a POS station is not really feasible. However other options such as using pay at the table devices, tablets or accepting payments through third-party applications can allow the payment to be processed with the guest so the signature can either be captured a the time of payment or possibly not even required. New changes instituted by the credit card brands will also make signature obsolete for anyone processing with EMV. A recent article on Creditcards.com (https://www.creditcards.com/credit-card-news/signatures-soon-may-not-be-required.php) explains that Visa, Mastercard, Discover and American Express all dropped the signature requirements. But what does that mean for tips? The consensus so far has been even with getting rid of signatures most restaurants and bars will still present a check in some form to be able to collect a tip from the guest. In the end, there are multiple options that each operation will need to evaluate to see what makes the most sense for each business. Our team is always here to review those options with you. 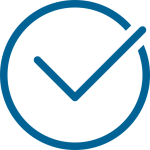 Click here to schedule time with a Solution Engineer. Restaurant technologies are all about streamlining processes, increasing sales and most importantly, improving the dining in—or out as it may be—experience at your table service or quick service restaurant. The three restaurant technologies that we see having the biggest impact on restaurant operations are mobile reporting, online ordering and integrated loyalty and rewards programs. Mobile reporting is a restaurant technology that is starting to come standard with many restaurant point of sale software options on the market. Maybe the ability to access your restaurant’s reports and data doesn’t seem like a game changer but it definitely is. 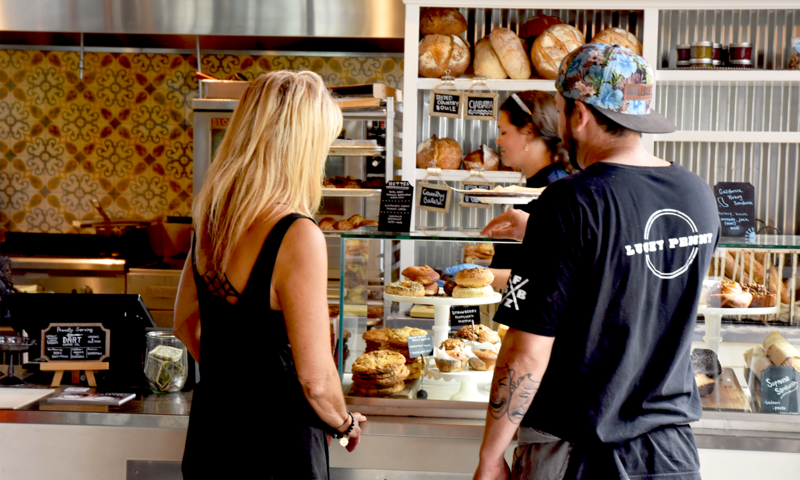 Being able to access food and beverage sales numbers, table turnover times, and average ticket times from a mobile app gives managers freedom and more importantly, real-time visibility. This is especially vital for managers or owners that need to bounce between locations or can’t be onsite all the time. An online ordering portal opens up a whole new realm of possibilities for quick service and table service establishments and is one of the main restaurant technologies to consider adopting if you haven’t already. Millennials and now even Gen Z, who incidentally spent $78 billion on dining out in 2016 according to a report by Technomic, are driving the trend for restaurants to offer more delivery and take out options that can be ordered ahead of time from their laptop or phone. They want to eat whenever and wherever they want. The upside for you is that orders submitted online can totally bypass a server and go directly to your point of sale system and into production. Third-party ordering apps like ToGo are making this kind of integration possible. Restaurant technologies that support loyalty and rewards programs integrate with your point of sale system fairly simply. You can participate in standalone programs that essentially plug into your current POS software or your point of sale service provider may offer a program you can enroll in. Either way, implementing and maintaining a rewards program is easier than it’s ever been, and they usually offer added marketing components like list segmentation and demographic reports, email and social marketing aspects—and some even loop gift cards into the same system so you have one central location from which to generate and manage all your cards. If you are at the point where your table service or quick service restaurant is ready to invest in new restaurant technologies like mobile reporting, online ordering or a rewards program, make an appointment to talk with a Focus POS California expert to discuss exactly how easy it is to implement a time-saving and revenue-generating restaurant technology. It’s more than a good idea: It’s become pretty risky to not accept chip cards in your bar or nightclub. Before the liability shift in 2015, you could rely on the issuing bank to eat fraudulent payment card charges made in your establishment, but that is no longer the case. Now, you are directly responsible to pay back the money, PLUS fines and fees. Ouch. If you haven’t done it yet, don’t worry. Most bars and restaurants in the U.S. have been sluggishly adopting the new technology. However, it’s now time to act and figure out what you need to do to accept chip cards from patrons. We suggest starting by talking to your point of sale provider. You can read more about why you should accept EMV/chip cards in our recent blog, Why You Need to CYA by Accepting EMV Payments. Chip cards, also known as EMV cards, eliminate swiping all together. The new cards, which probably have replaced all your old magnet strip cards in your own wallet right now, are inserted into a chip card reader instead of being swiped. EMV technology is much more secure since it generates a new processing number each time the card is read, and that number cannot be duplicated. In fact, these chip cards have dramatically reduced credit card fraud. When the European Union implemented the chip cards they saw an 80% reduction in fraudulent charges, according to Kiosk Marketplace. By the way, if you have FOCUS software, not to worry, your point of sale is fully capable of handling alternative payment methods. What does accepting chip cards mean for your nightclub or bar? For one, it does not mean a slowdown in service. 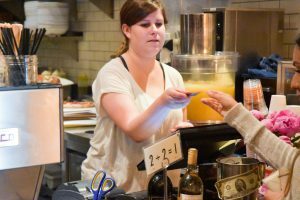 Great strides have been made to speed up processing times on chip card readers and with a little bit of training and tweaking of work flows you have set up for your bartenders and cocktail servers, they shouldn’t miss a beat when switching from swiping to chip card terminals. Focus is currently beta testing a new feature that allows bartenders and cocktail servers to start a tab with a chip card, the same way they are used to running a bar tab with a swipe. Not to mention, few bar owners want to take on the costs associated with credit card fraud. It’s simply not worth the risk. Going to the Nightclub & Bar Show in Las Vegas? So are we! Come see us at booth 421 and we can discuss how Focus POS California can help you achieve your business goals. Bosscat Kitchen & Libations is a whiskey bar with southern inspired cuisine where the staff immediately makes you feel like an old friend. The favorite after work or brunch spot in Newport Beach, CA celebrated their 3rd anniversary and the team opened a second location in Houston, TX early this year. At both locations you are sure to sip on some of the best crafted cocktails in the South West and Chef Peter will make sure you wont leave hungry, especially if you get their famous Bosscat Burger. 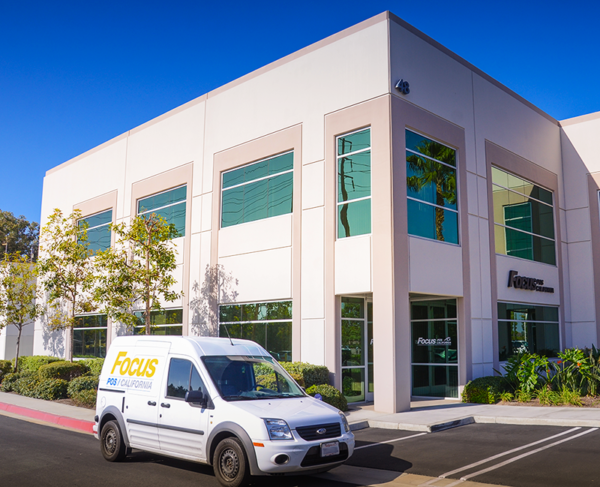 Since their operations team is always on the go, they utilize MyFocus Mobile to monitor sales and labor of their multiple locations from one dashboard. As the team and locations grow they are able to continuously scale the solution to meet their reporting needs and stay up to to date on the performance of all locations. MyFocus Central and Mobile also allows you to delegate out specific access to only certain people or groups allowing your team to focus only on the properties they work with. Fantastic Mexican Food & Margaritas at Mi Casa! If you live in central Orange County, undoubtedly you’ve heard of Mi Casa Mexican Restaurant & Bar. We’re extremely honored to have Mi Casa as our featured client of the month. Mi Casa has been a FOCUS client since 2012 coming to FOCUS from Aloha. Mi Casa’s owner, Ryan Moore made the tough decision to upgrade to FOCUS despite his long history with Aloha. Ultimately Ryan joined our family and has taken advantage of many of FOCUS’ awesome features and functions. If you haven’t had an opportunity to visit Mi Casa, put it on your to do list. Not only are their margaritas some of the best in Orange County, but their food is delicious as well. Even something simple, like the Chips & Cheese.We love having Mi Casa as a member of the FOCUS Family and look forward to many more years growing together.Check out Mi Casa at their website www.micasa1.com or visit them in Costa Mesa off 17th Street. Most of us at Focus CA are big fans of sushi, so it’s a no brainer that we feature our favorite sushi & teppan restaurant Mahé. A FOCUS Client since 2015, Mahé came to FOCUS from an aging Aloha POS that was in desperate need of an upgrade. With the opening of their new concept, Ola Mexican Kitchen on the horizon, the Mahé team knew they needed a solution that could grow with them and enable them to manage their brand while it grew. Both Mahé locations (Dana Point and Seal Beach) feature incredible sushi, full bars and a fantastic happy hour. The Dana Point location offers a delicious teppan menu as well as live music on select evenings. Be sure to check out Mahé online at eatatmahe.com, you won’t be disappointed! Featured Customer: Green Cheek Beer Co. When our friends at Valiant Brewing contacted us to let us know of their closure and the impending sale of their space we were shocked and saddened. Valiant Brewing was an up and coming brewery in Orange, CA that had started winning over taps and shelf space at bars and grocery stores in the ever growing craft brewing market. But when one door closes, another one opens. Brian Russo and Even Price, formerly of Noble Ale Works, have brought the space back to life as Green Cheek Beer Co. and were an instant success selling out of inventory every weekend they’ve been open. 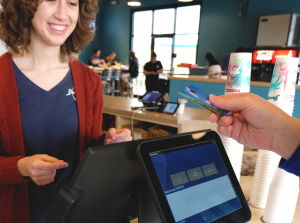 Green Cheek is utilizing Posiflex 12” and 10” KS series all-in-one POS stations to save on space and have easily mobile stations that can be setup for can releases. Our entire team is excited to see what Green Cheek brews up next!